Every few weeks at least one of my Facebook friends posts a question like this one: "Anyone have any tips for flying with a baby?" I usually write a quick comment with a few of the things I've learned. 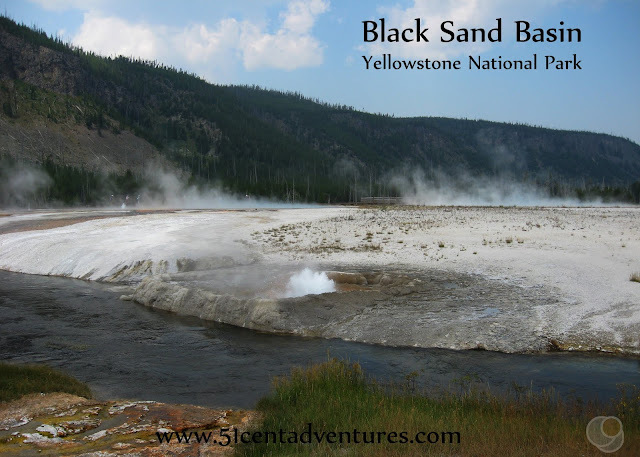 I decided that the subject comes up enough that I probably should do a post or two about it. In this post I'll focus on things regarding airports and airlines. I'm lucky to have inside information on the airline side of things. Back in 2010 my husband started working for a major airline company as a gate agent/baggage handler. The pay was terrible, but Brandon loves everything that has to do with aviation so for a while there it was a great job. I enjoyed hearing his work stories and learning about the ins and outs of how airlines operate. I also have a little bit of first hand experience with flying with babies. 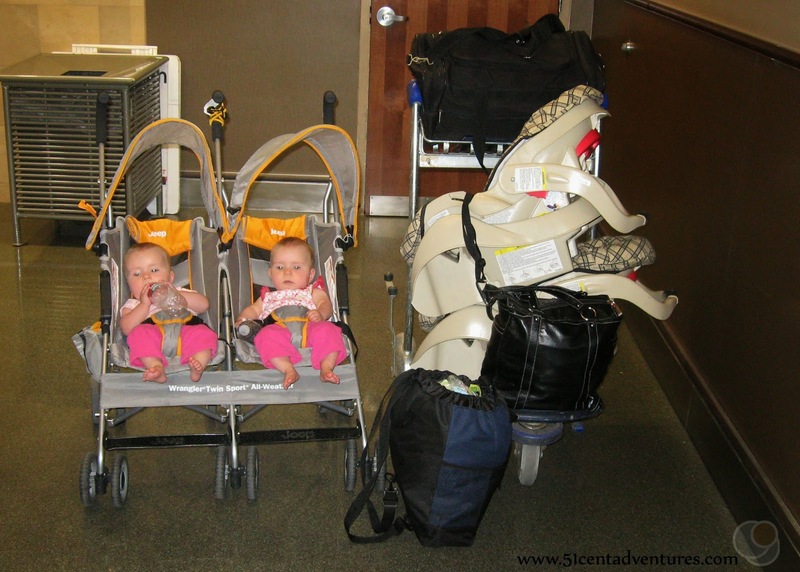 In July of 2011, when our twin girls were 8 1/2 months old, we decided to use the free flight perks that the airline offered to visit some family in Arizona. I'd flown on an airplane twice as a teenager, but this was my first time flying with babies. I learned a lot on the flight to Arizona and back. Based on what I learned from Brandon's job, and our trip with our babies, I've come up with eleven things that you need to know before you fly with a baby or toddler. This post will help you understand policies that airlines and airports have. As a little caveat: most of this info applies to major airlines and major airports. Smaller carriers and smaller airports sometimes have different rules. Please verify this advice with the airline and airport you will be using. Let's start with the reason so many people are willing to fly with babies and toddlers - children can fly for free as "lap children" up until their second birthday. Even a bad flight is quicker than how long it would take to drive the same distance. If you don't have other children, flying with a baby is often much cheaper than driving would be. It's legal in the US to fly with a child under the age of two on your lap. But be aware that the FAA recommends you provide a Child Restraint System or a Child Safety Devise for your child. Those sound kind of like torture devises. In plain English, a Child Restraint System is a regular car seat that is approved for use in an airplane. Most are, but just to be sure make sure that it has a sticker that says, "This restraint is certified for use in motor vehicles and aircraft." A Child Safety Devise is like a car seat, but it can only be used on an airplane. Keep in mind that your child will need their own seat if you plan to use either a Child Restraint System or a Child Safety Devise. That means you will have to either buy a ticket for your child, or bring the restraint along and hope that there will be an unoccupied seat. If you can't use the restraint the flight attendant will help you store it in the aircraft. You don't need to worry about renting a car seat from the car rental company or borrowing a stroller. You can just bring the ones you already own with you. They aren't considered part of your standard baggage so you can check them for free. The agents at the ticket counter will put tags on them and make sure they make it onto the airplane with the other luggage. You can check your stroller and car seat at the ticket counter if you like. However, I highly recommend waiting to check your stroller until you board the airplane. This is called gate checking. That means you can keep your baby in the stroller until you reach the airplane door. This is really nice because you will have a place to keep your baby while you wait at the ticket counter, the security check point, and the terminal gate. You will have to send the stroller through the X-ray machine at the security check point. It is a little annoying to take your baby out and put the stroller up on the conveyor belt, but the rest of the time it is really nice to have a stroller while you are maneuvering through the airport. Talk to the ticket agent about getting special tags for your stroller. You can wheel the stroller through the jet way right up to the door of the airplane. Then you take your baby out, collapse the stroller, and leave it by the door on the jet way. The baggage handlers know to check that area for any strollers, wheelchairs, or similar items. They'll put the stroller on the airplane after they have loaded all the baggage. When the plane lands at your destination the baggage handlers there will make sure the stroller is waiting for you in the hallway of the jet way. You'll be able to push your child in the stroller as you leave the airport. Babies require a lot of gear. In some cases it might be a good idea to gate check your baby's car seat as well. We flew home from Arizona on a standby flight. We weren't sure we would make it onto the flight we were initially scheduled on. Rather than check our twins' car seats and risk them arriving in Salt Lake before we did, we opted to keep the car seats with us until we boarded the plane. It was a little bit of a hassle to cart the seats around, but the peace of mind was worth it - especially when we were bumped off of 3 standby flights. Planning to gate check your car seat is also a good idea if you think there might be unoccupied seats on the flight. If there are extra seats the airline may let you put your car seat on one and let your baby sit in it for no extra cost. Talk to the agent at the ticket counter about whether or not this will be possible on your flight. If you check your stroller or car seat at the ticket counter then those things will go onto the airplane with all the other baggage. However, depending on the way things are done at your destination, you may not be able to pick up your stroller or car seat at the regular baggage carousels. Instead, you will have to look for a sign designating where all the over-sized baggage is dropped off. Every airport is different, but usually the over size baggage comes in on it's own conveyor belt off to the side of the regular baggage carousels. You can also always ask an airport employee for help finding your large items. Be aware that due to the nature of their job, the baggage handlers aren't very careful with things. You may want to travel with a less expensive stroller than your regular stroller. Fold and secure the stroller before you board the plane. It's a good idea to wrap bungee cords around the stroller so it doesn't unfold. Don't put anything in the stroller that could fall out such as toys, food, diapers, and pacifiers. I know baggage handlers have a bad rap, but you've got to understand their work environment. They usually have less than an hour to bring the plane in and get it ready to fly again. That means taking out all the baggage for people getting off, making sure they leave on the baggage for people who are staying on the flight, running the gate checked items up to the door, taking gate checked items down to the airplane, putting all the new baggage onto the plane, and many other important tasks. If somethings falls out of your stroller, or your stroller unfolds, they don't have time to stop to pick things up or put the stroller back together. 7. There may be a separate security line for people traveling with children. When you get in line for the security check, keep an eye out for a separate security line for people traveling with babies, young children, and medical needs. The line is designated with a small sign with a picture of a baby bottle on it. Usually there will also be an airport employee who will direct you to that line. It's a much shorter line than the regular security line. That means you'll have a shorter amount of time that you need to keep you kids happy. Even with the shorter wait in the security line, it is a good idea to give yourself plenty of extra time to get through security. You'll still have to take off your shoes and remove your belt - while keeping an eye on your baby. You'll also have to collapse your stroller so it can go through the X-ray machine. When you walk through the metal detector the TSA agents will ask you to hold your baby. The first time I flew with my twins I worried about what I would do with them if they got hungry while we were waiting at the check in counter or in the security line. I thought that the strict security regulations regarding liquids applied to all liquids. So I didn't want to mix up the formula in their baby bottles until after we made it through security. I spent a lot of time worrying that my babies would start to cry and I wouldn't be able to feed them right away. On the return trip I learned that bottles with formula and breast-milk are okay to take through the security check point - in reasonable quantities. The bottles went through the x-ray machine along with all our other items. I also had some jars of baby food in my diaper bag. The agents took one out and put it in a special machine that verified it wasn't full of dangerous chemicals. Depending on the airline and the flight, you will probably be allowed to board ahead of most of the other passengers. This is nice because you won't have to wait in line during the boarding process. You'll be able to get situated on the plane before the other passengers start cramming around you. This is something I discovered when Brandon and I flew together with our twins. When we went to sit in our assigned seats the flight attendants told us that we would not be able to sit together. We were on a row with three seats - but only four oxygen masks. In case of an emergency there wouldn't be enough oxygen masks for the four of us plus the other passenger on the row. The flight attendants had me move with one of my babies to the row across the aisle. It wasn't a big deal to find someone who was willing to trade seats. On the return flight we sat in the row in front of Brandon and our other daughter. If your baby needs a diaper change during the flight you can change her in the lavatory. Changing a diaper on an airplane is the parent's version of the Mile High Club. Brandon is a proud member. He was sitting on the back row of the airplane with our daughter on his lap. Suddenly he felt a warm, wet sensation on his leg. He looked down to realize that he had a serious diaper blow out situation about to happen in his lap. He got up to change her diaper just as the captain put the turbulence warning light on. Brandon didn't want to sit back down with the impending mess so he just hurried to the bathroom. He put our baby on the changing table, braced his leg against the wall, and went to work changing the diaper as the airplane bounced around. He emerged victorious a few minutes later. It's one of his favorite stories to tell. 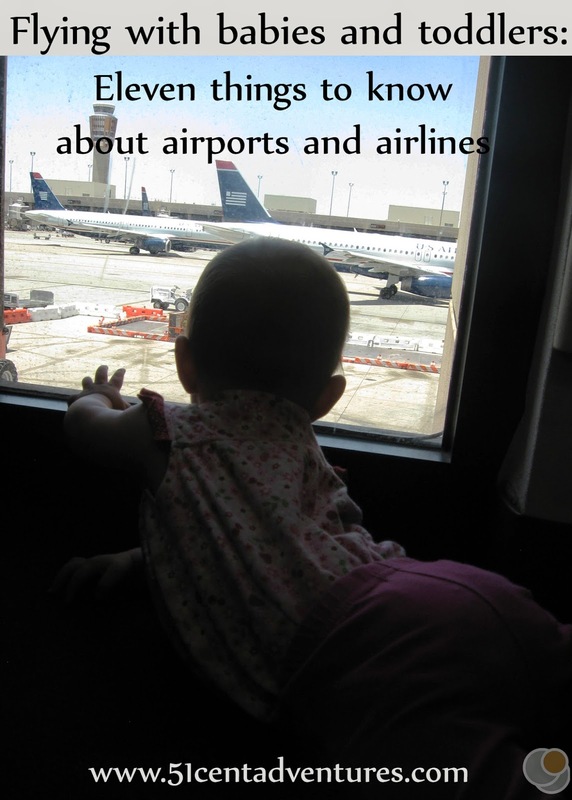 I hope this list will help ease some of your concerns about flying with babies and toddlers. If you have any further questions about policies regarding flying with children you can check with the airlines or go to http://www.tsa.gov/tsa-kids/parents-page.